Foams show poor stability in enhanced oil recovery applications and stimulation processes in oil-well operations of oil fields. This paper presents a laboratory study to investigate the effect of Newtonian and non-Newtonian viscosity enhancement materials on improving the stability of foams at bulk conditions. For this goal, glycerol and hydrolyzed polyacrylamide (HPAM) were utilized to enhance the viscosity of foaming agents, which were composed of α-olefin sulfonate surfactant and salinity. 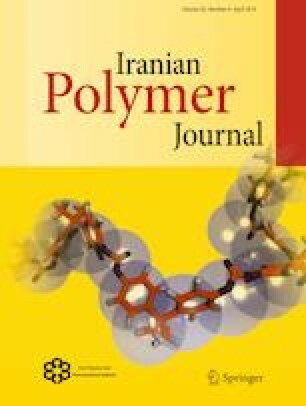 To this end, a comparative study of the foam stability in surfactant solution containing different percentages of glycerol, HPAM polymer and a mixture of polymer with glycerol was undertaken. In a foam stability analysis, which was examined in the absence of an oleic phase, several characteristics such as foam volume evolution, foam half-decay time and a liquid fraction of foam were measured over a wide range of concentrations. Evaluating the conductivity and volume of injected gas during foam generation and foam decay provided the foam capacity and the maximum density parameters to characterize the foamability and stability of the generated foam in more detail. The results of bulk foam experiments indicated that polymer and glycerol could either increase or reduce the foamability, but both materials substantially increased foam stability within a certain range of concentrations. This could be explained by increasing the viscosity of the liquid phase of foam in the lamellae that attributed to decreased velocity of liquid drainage from the foam structure. Two regimes of foam drainage and coalescence demonstrated a different behavior for the same viscosity of solutions containing either glycerol or HPAM polymer. The solutions containing glycerol exhibited a small but sharp decay right after stopping the sparging gas, while for high polymer concentrations this did not happen. We acknowledge Shell Global Solution BV for providing chemicals and also support in performing some of experiments in the Rock & Fluid Physics Laboratory of Shell Global Solution Company at Rijswijk, The Netherlands. We would like to thank E Meivogel and J van Haagen for technical support at Dietz Laboratory of the Geoscience and Engineering Department of Delft University of Technology.